If you’ve ever been to Northampton in western Massachusetts, then chances are you’ve seen the grand Hotel Northampton. A member of the Historic Hotels of America, the five-story brick building has towered over King Street since 1927. 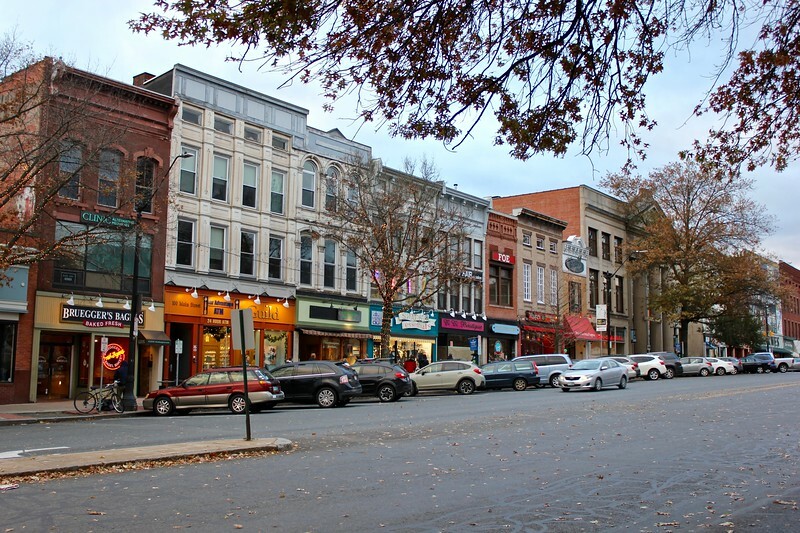 Northampton is a fun, funky college town with many great cafes, bars and restaurants as well a thriving cultural scene. Before I visited in November with Vicky of Buddy the Traveling Monkey during our weekend road trip through Hampshire County, I had only been to Northampton twice before – once to meet a college friend for dinner not long after I moved to Boston, and the other time to do some sightseeing with my dad after we attended the Green River Festival a few years ago. 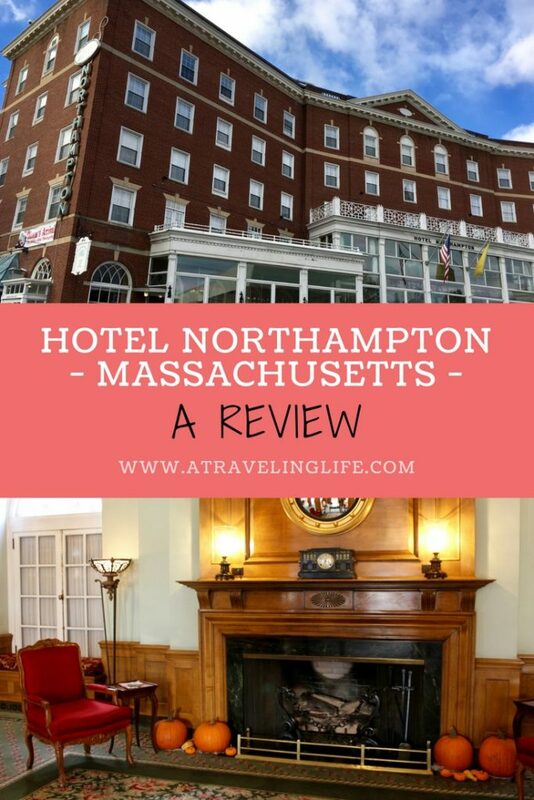 During both of my brief visits, I had wondered what it would be like to stay at Hotel Northampton – I love the charm of historic, independent properties – so I was thrilled when I learned that it was included in our itinerary. One of the most rewarding aspects of travel blogging has been getting the opportunity to take a closer look at unique destinations and attractions that are not too far from my own backyard. 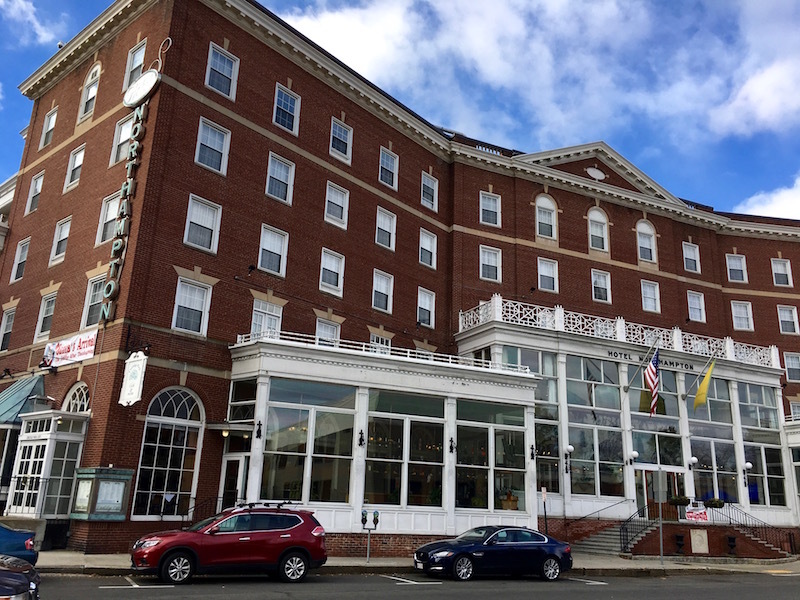 After spending the first night of our road trip at the Holiday Inn Express in Hadley, we arrived in Northampton late on a Sunday afternoon to check in at Hotel Northampton. It was a bitterly cold day, but the lobby was warm and inviting, and dotted with fall decorations. Vicky had been struggling with the chilly Massachusetts temperatures, and she was able to commiserate with one of the staff members at the front desk, who was a fellow Floridian. 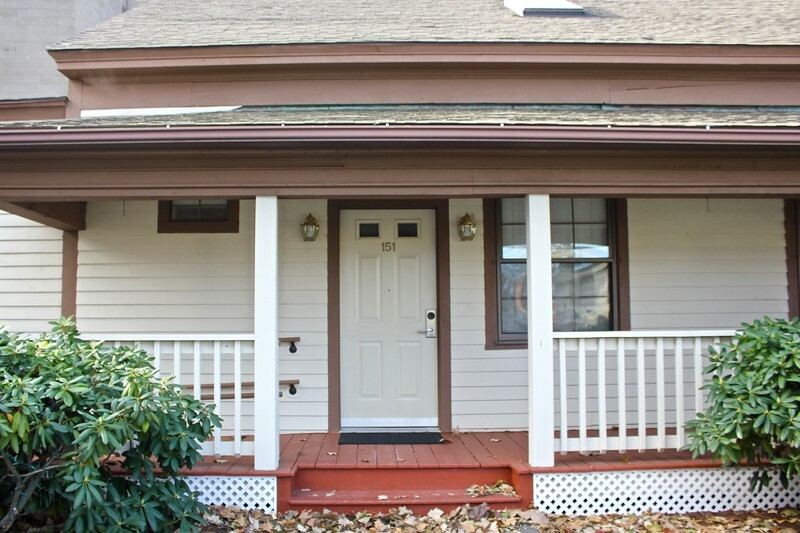 After checking out the antiques and historical photos in the main building, we headed out to our room, which was located in the Residential Cottage, a single-story building at the edge of the parking lot. Upon entering in the Residential Suite, we were welcomed with a beautifully presented fruit and cheese plate, which was a very nice touch after a long morning of driving and exploring. The suite, which has a main living area and attached bedroom with two queen beds, was perfect for our needs. We were able to spread out and each have our own space to work and relax, so it’s ideal for friends or family members who are traveling together. It’s also great for anyone who will be staying for an extended period of time since has a kitchenette with a full refrigerator. And since I was really sick that weekend, I appreciated the gas fireplace, which helped us warm up while we relaxed with some tea after dinner. The following morning we helped ourselves to the complimentary continental breakfast at Coolidge Park Café, which also serves lunch and dinner. During my last visit, when it was a lot warmer, my dad and I had a very nice lunch on the Café’s outdoor patio, which gives you a great view of downtown. Hotel Northampton’s other on-site restaurant is Wiggins Tavern, which is modeled after a Revolutionary War-era tavern and serves dinner and Sunday brunch. After wanting to stay at Hotel Northampton for years, I was disappointed that I didn’t have more time to spend at the property and in our cozy room – Thanksgiving was approaching, and we both needed to get back on the road. I have a feeling, though, that I won’t wait so long to make another trip back. It has 106 double, queen, king and deluxe rooms as well as luxury suites spread throughout three buildings – the main building, the Residential Cottage and Gothic Garden building. 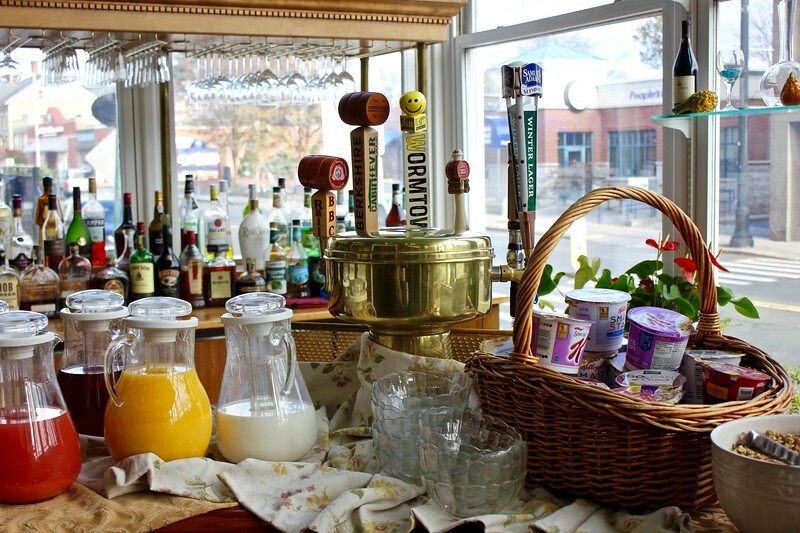 It’s located within walking distance to Smith College and entertainment venues like Calvin Theater, Iron Horse Music Hall, the Calvin Coolidge Presidential Library & Museum, and plenty of cafes, restaurants and bars. 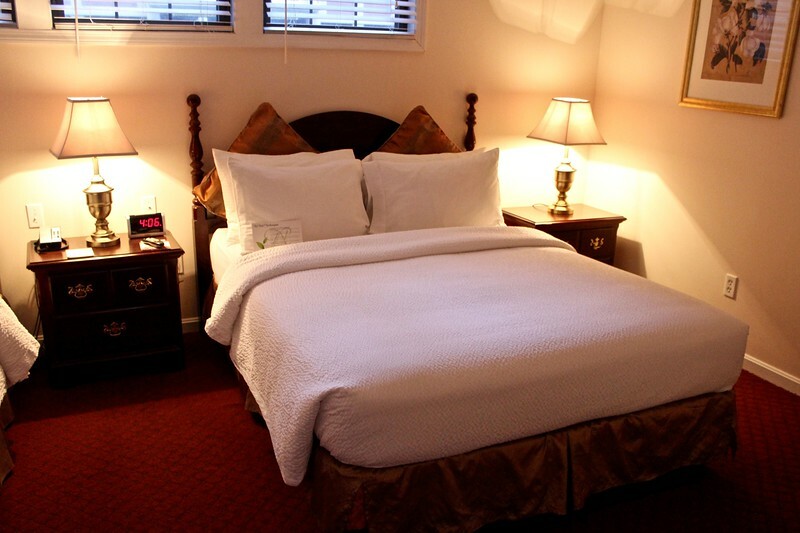 It’s also close to I-91, so it’s the perfect spot to stay when exploring the Pioneer Valley. 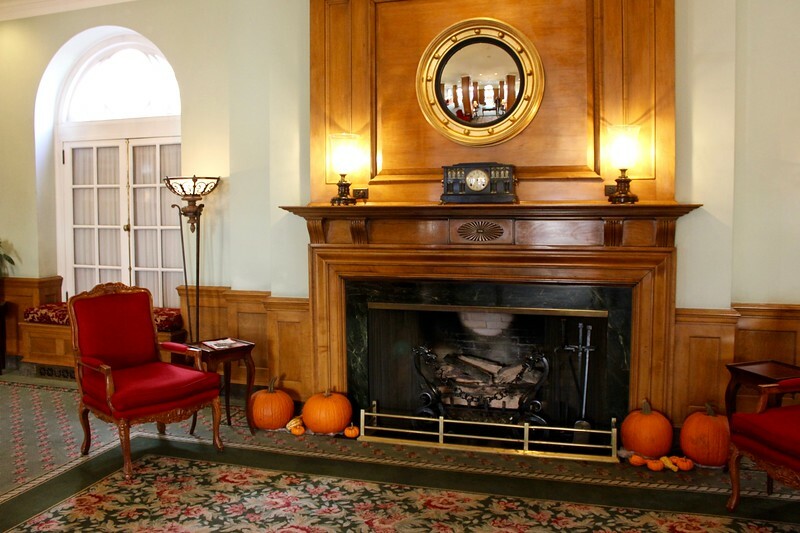 This Hotel Northampton review was provided in exchange for one night of accommodations. Thank you to the Hotel Northampton for hosting Vicky and me during our stay.